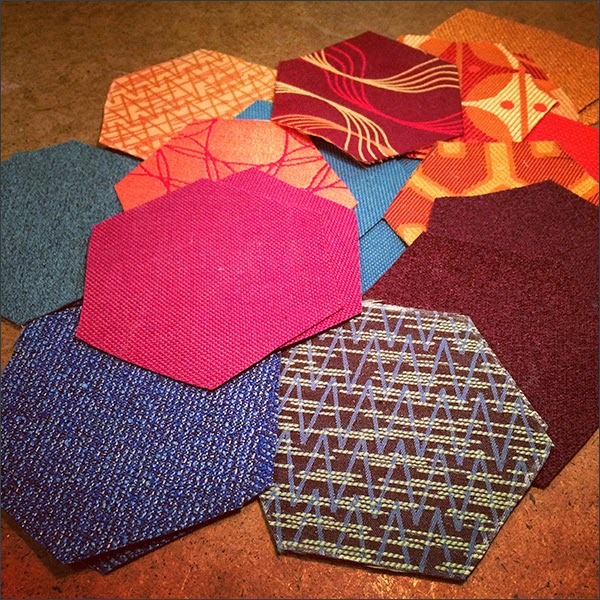 Thrifty By Design: For the love of... Hexagons! 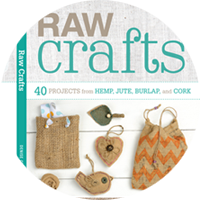 Sometimes you get an idea and you have to implement it... That's what happened this week. 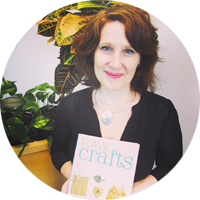 I wanted to make something using the free fabric samples I picked up at the Strathcona Business Improvement Association Resource Exchange awhile ago. Plus I found tons of pillow forms last weekend while overhauling my place. 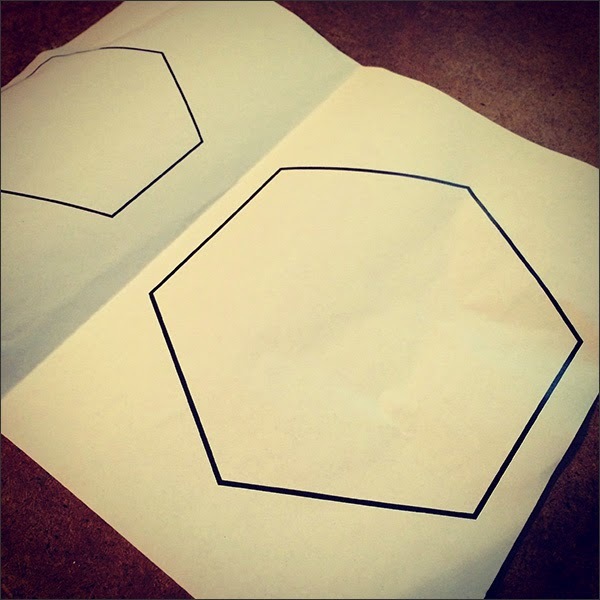 First I printed out some hexagons. 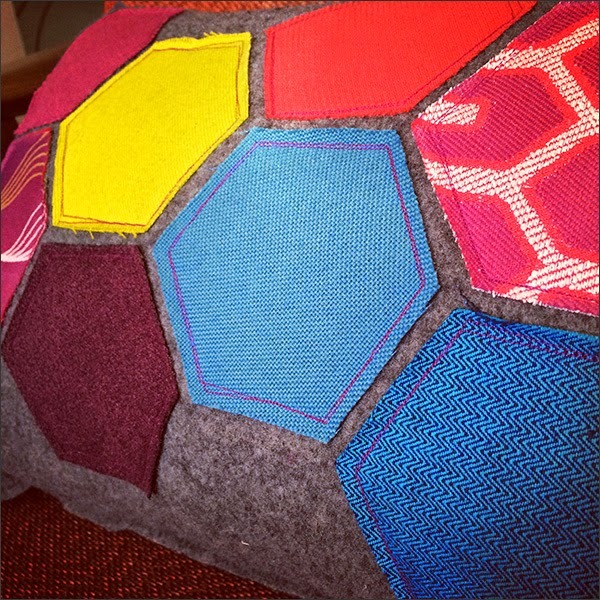 No idea why but I figured hexagons would be the perfect shape for a pillow cover design. 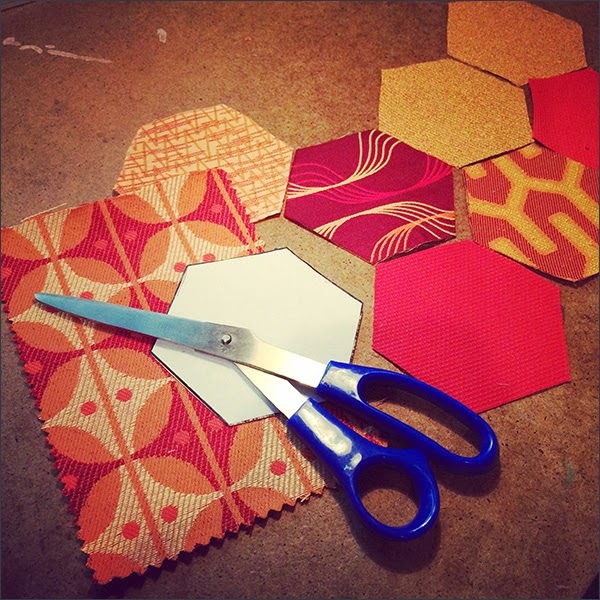 I started cutting hexagons out of patterned and solid fabric samples. 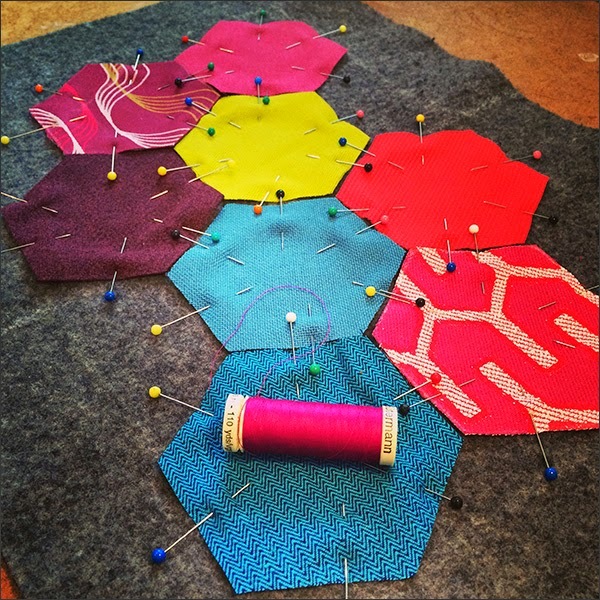 I went a bit crazy with the hexagons. 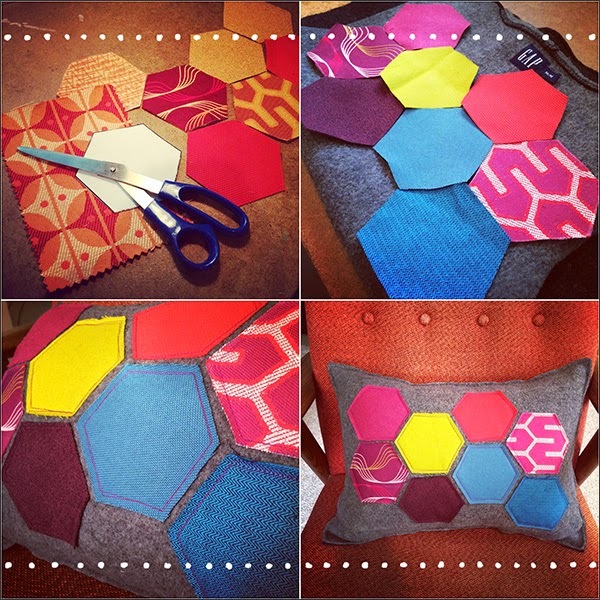 I decided on this set of hexagons then repurposed a thrift store jacket for the front of the pillow cover. 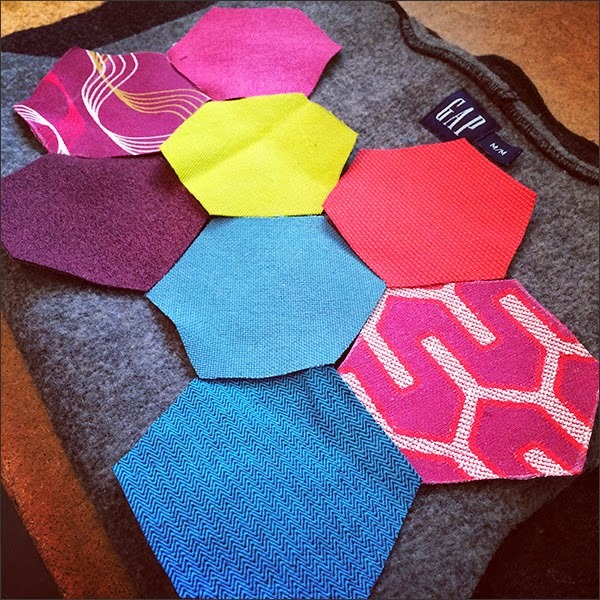 I pinned the hexagons to the jacket then picked out a bright thread for the stitching. 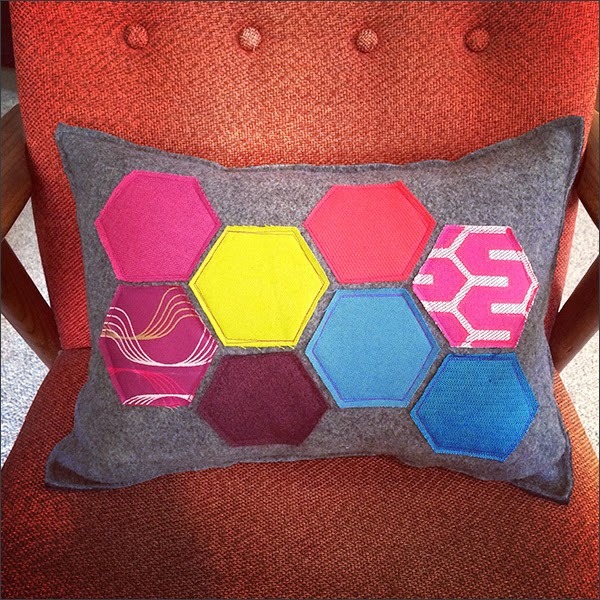 Here's the pillow cover. Looks pretty good! I used some old grey fabric for the back. I love using an envelope back for pillow covers. Very simple and looks good! 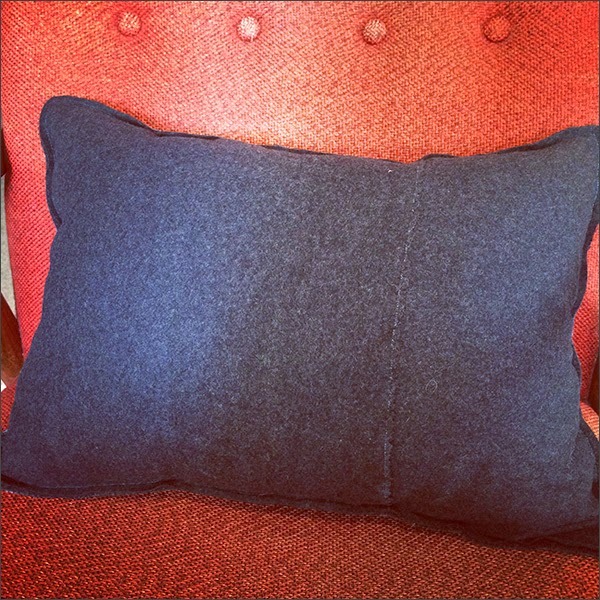 This pillow is 18 inches by 12 inches. Next I'm tackling a 26 inch by 26 inch pillow cover.